The Jeopardy! Fan is operated by Andy Saunders, who lives in Guelph, Ontario, Canada. Amongst his contributions to the community include being a Founding Archivist for the J! Archive website. 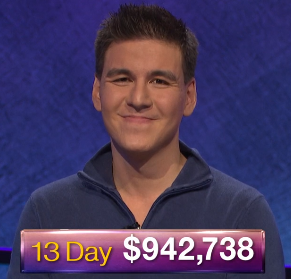 During Ken Jennings’ famous 75-game run on Jeopardy in 2004, Andy’s statistics appeared in such publications as the Toronto Star, Houston Chronicle, and Washington Post. At the conclusion of Ken’s streak, NPR’s “All Things Considered” elected to interview Andy regarding the streak’s conclusion. He began writing for The Jeopardy! Fan in 2012 and took over full operation of the site in November 2015. Since 2014, he has hosted #JeopardyLivePanel, a weekly podcast interviewing past contestants about their experiences on the program. In 2017, he also launched the podcast game show “Complete The List”, available on iTunes and other locations. While he has never appeared on the show, he has auditioned on multiple occasions. When not running The Jeopardy! 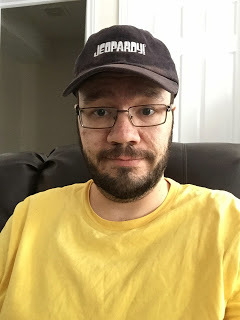 Fan, Andy is a freelance scopist, bookkeeper, and trivia writer, having also written two books on baseball history: “A’s Bad As It Gets” (about the 1916 Philadelphia A’s) and “The Games That Changed Baseball: Milestones in Major League History”. Both books are available from McFarland. His hobbies include competitive Scrabble. Andy is generally available to give interviews on all topics regarding both Jeopardy! and baseball history.